Checking weather of destination is one of the most important things when you travel. 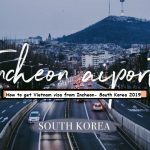 What is Vietnam weather like in May? 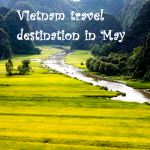 Overall, Vietnam has four distinct seasons: its spring is from March to May. While the summer months is from Jun to August, the temperate during July and August is relatively hot, around 35-38 Celsius degrees. The autumn season starts from September to November and the winter lasts from December until February. Vietnam weather in May, it is not exaggerated to say that May is the best time to visit Vietnam. 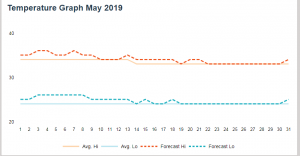 In further, there is no rain in May and May is not so hot compared to March and April as well as summer season. The average temperature is around 28 °C. Moc Chau is located in the North of Vietnam and far away 200 Km from Ha Noi. This is one out of hot destinations in Vietnam which attracts almost travelers world-wide per year. 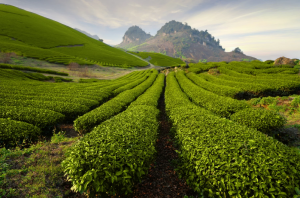 In May, Moc Chau is full of red and green colors by plum orchards and tea trees intercropping as well. 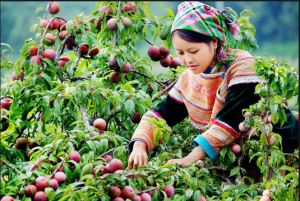 As a result, coming Moc Chau- Son La in May, travelers not only can take a lot of beautiful pictures but also have a chance to eat the most delicious plum in Vietnam. Moc Chau plums get ripen when its skin becomes dark red to purple. This type of plums tastes a bit sour. However, the taste turns completely sweet when its skin is in purple. Not only good tasting, Moc Chau plums are also a natural medicine: enhance iron absorption, good for cardiovascular system as well as anti-cancer. Nha Trang is voted as one of the perfect destination for couples. 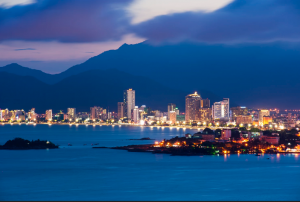 The best season to visit Nha Trang is from February to May while the Celsius kept from 25-26 °C. Nha Trang is an ideal island for not only family tourists but also solo-ones. There are many luxurious resorts and hotels makes Nha Trang becomes a paradise of sun-sea-sand for any Honeymoon makers. Not only that, Nha Trang contains natural sceneries together with a number of eco-tourism areas. 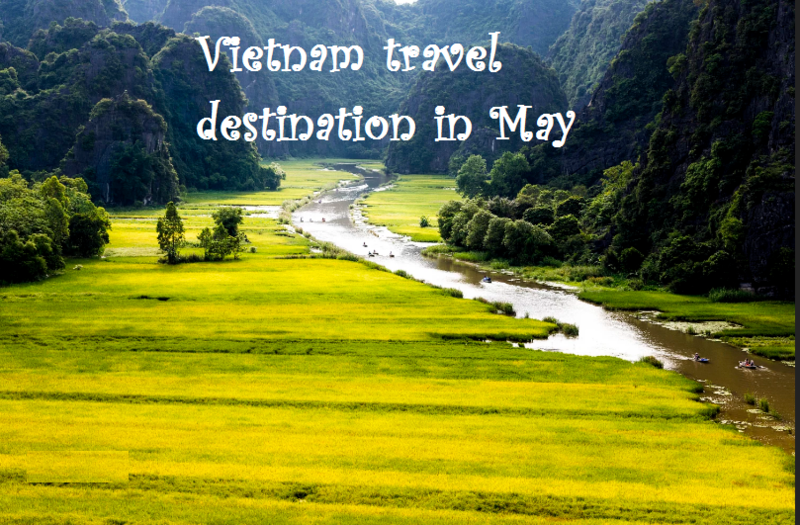 In Quang Ngai, the ideal season for travelling is also May. Ly Son has become famous in youth generation of Vietnam in specific and world-wide in general in recent 5 years. Ly Son is not only famous for different kinds of garlics but also surreal and bizarre of landscape here. Ha Giang is well-known by beautiful rice terraced landscapes. Together with beautiful limestone mountains and impressive beautiful flowers, trip to Ha Giang brings you to many local cultural festivals such as buffalo fighting festival, house racing festival. 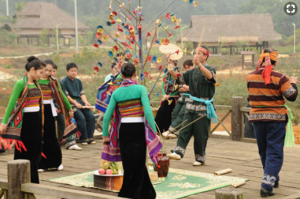 Especially, visiting Ha Giang in May travelers can find Special Khau Vai love market. 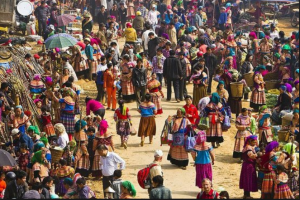 The Khau Vai love market is run for a short of time for those who could not have a perfect ending and they meet each other again once a year. It takes about more than 3 hours by car or bus from the center of Ha Noi, Ha Long is one of ideal hot-places that you should visit for 1 time. 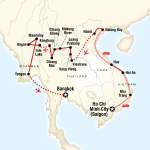 The best timing to visit Ha Long is from May to Jun. During this time, the weather is so cool and it is not too hot which is suitable for swimming and go sightseeing. 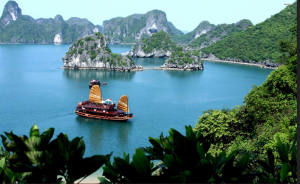 Interestingly, go to Sunworld Ha Long park, there are many amazing games to pay or hiring a classic sailboat to discover the stunning bay in daytime. If you choose Mai Chau (Hoa Binh) to visit in May, it must be interesting and unforgettable memory. You are not only able to enjoy clear atmosphere in Mai Chau in May but also understand “Rain festival” of Thai people here. Thai people celebrate “Rain festival” in April-Lunar Calendar (May – Western Calendar) with many exciting activities. In this occasion, local people will sing to pray for rain, they also bring a torch and go around the village.